Any system described by a power law, where mean, median, and mode are so different, has several curious effects. The first is that, by definition, most participants are below average. … The other surprise of such systems is that as they get larger, the imbalance between few and the many gets larger, not smaller. As we get more weblogs, or more MySpace pages, or more YouTube videos, the gap between the material that gets the most attention and merely average attention will grow, as will the gap between average and median. 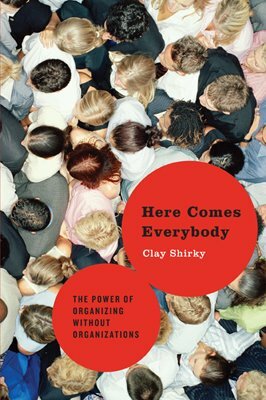 … You cannot understand Wikipedia (or indeed any large social system) by looking at any one user or even a small group and assuming they are representative of the whole. … We’re used to being able to extract useful averages from small samples and to reason about the whole system based on those averages. … Instead, you have to change your focus, to concentrate not on the individual users but on the behavior of the collective. … The power law helps explain the difference between the many small but tightly integrated clusters of friends using weblogs and the handful of the most famous and best-trafficked weblogs. And—I’d say—the most famous and best-selling independently published books (think: J.A. Konrath). Posted in Electric Speed, Getting Published, Reading. Yeah, I guess if you self publish an ebook on Amazon or something, there really isn't any barriers. No one to disapprove it, you don't have to wait for it to get published, it won't cost you anything, etc…. In a way, Jane, this is not news, although I always enjoy hearing your thoughts and ideas. It's always been 10% of the people who do 90% of the work and excel. With self-publishing 90% of the people will still think they can stick a family photo on a cover, write trite, unedited stream of consciousness, and will then wonder why they didn't make the money Konrath has. Konrath works HARD. He studies the market, he puts in his time and he pays his dues–that's why he's in the top 10%. Technology as it pertains to class — fascinating issue that I wish I knew more about. I'm not sure e-books or other forms of digital media really out of the question for people of little means (especially when the cost of digital copies is zero, unlike physical copies). E.g., mobile phones are impacting entire continents like Africa. It allows them to bypass expensive infrastructure that might've previously been required to make progress and educate.